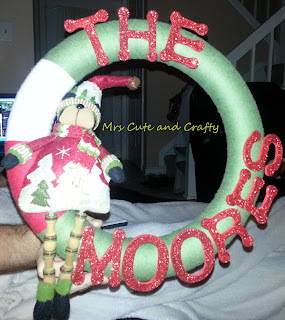 Perfectly Pamela: Finally the Crafty to my name! I've had the "Cute" part to my blog name down for a while - in fact I think my blog is in cute overload thanks to Peanut. The most I've done crafty wise have been scrapbook layouts which I've failed to blog about (not counting my Scrapdoodles Design Team post). But these last few days I have been in craft land overload. In October I decided to make a headband for Kayleigh. 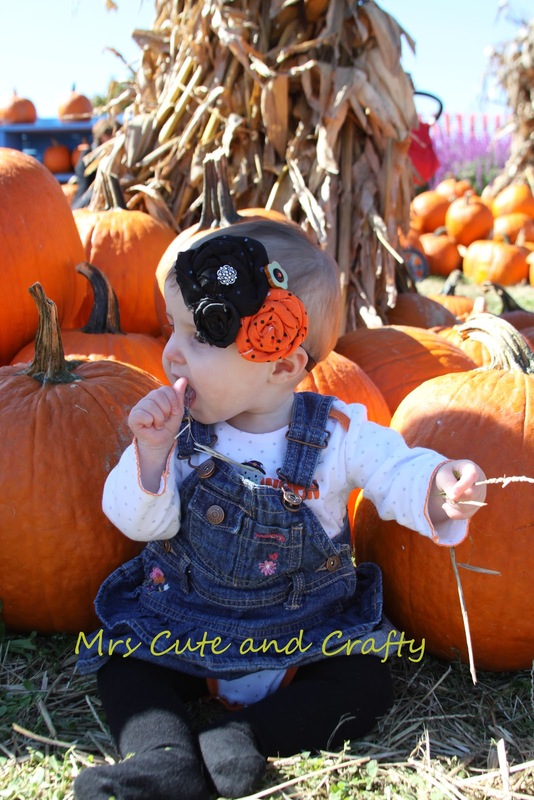 The entire headband is handmade. The flowers I rolled from fabric, sewed two buttons together, and then assembled them all onto a piece of stretchy elastic. And I'm in love with it! A Christmas headband is next on the DIY headband list! Then I got it in my head that I wanted to make Peanut a tutu. So off I went to Joanns and picked out two different color schemes. Purple and cream, and a mix of blue, dark blue and silver. The first tutu I made I used a crochet headband for the waistband. 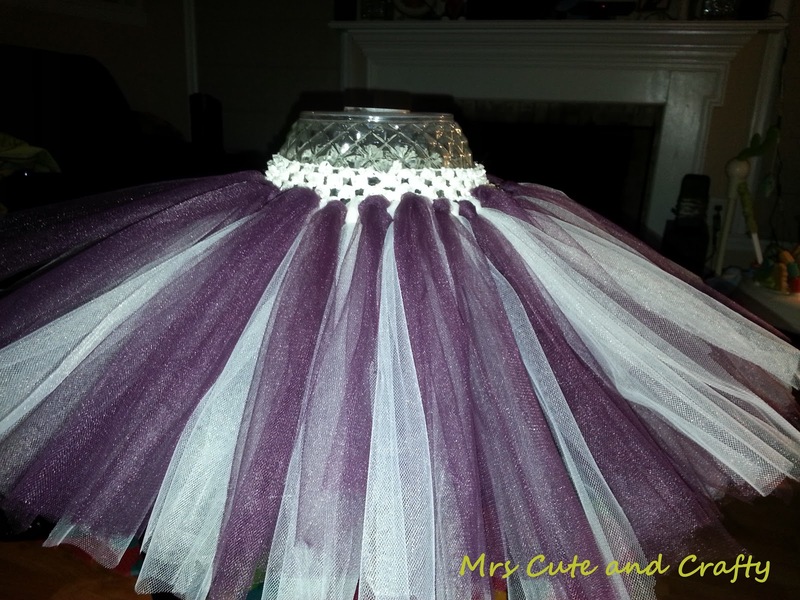 [Note to self - next time I make a tutu buy the tulle from a roll and not by the yard! It makes it so much easier to measure and cut!] It took a while to get everything ready but once I was finished I loved the final product! I haven't started the other tutu yet, but that one will be made using a piece of elastic and I plan to make it re-sizeable so she can grow with it. When I finished this tutu the hubs said "this is my favorite thing you've made so far. Peanut can wear it when she starts dance!" At least he's finally excited about SOMETHING I've made...that's all I can hope for. As to the dance classes - she has another year before we think about those. Next up I decided I wanted to learn to cross stitch. The mother in law made stockings for all of her kids/family for Christmas with their names on them and I love them! I decided I wanted to do that for our family as well. 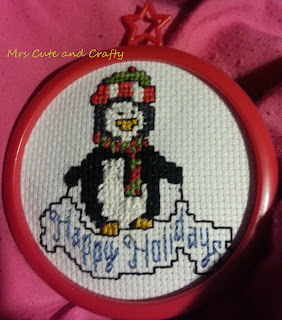 But starting with a stocking was a tall task so I started small and made an ornament first. If you look at the back you will be able to tell that I obviously did something wrong when stitching. But luckily the back is covered so all that matters is how awesome the front looks! For something that seemed so easy, this took me a while to get into the grove of making. Of course I had to choose the penguin template. I need more practice so I might buy another Christmas one to make and save the stockings for next year. This year Kayleigh got a Tinkerbell stocking from Target. So - what do you think? Am I finally living up to my crafty name? I have some crafts planned as gifts this year but that is all dependent on people sending me the photos I need to complete it. And of course, I found the idea on Pinterest (for the win!). So cute, I need to make one soon! I'm your newest follower form Moms Monday Mingle, would love if you could come by and follow back?